Vintage icon – Elizabeth Taylor, Cleopatra. This post focuses on the historical beauty of Cleopatra. Before I reveal the way I completed the signature look (albeit the Hollywood starlet version) I will outline some common myths about Cleopatra, and some historical context about Egyptian make up. 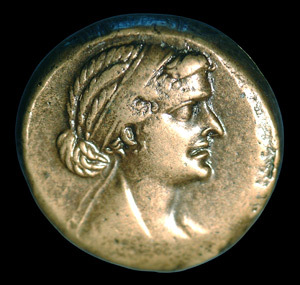 Most associate ‘Queen Cleopatra’ as being an Egyptian. This is incorrect, she was actually Greek. This all comes down to blood (as it all does in history). Despite her family actually living in Egypt for about 300 years, the Egyptians saw all the family as Greek as they are descendants from a General named Ptolemy, who, after the death of Alexander the Great, received Egypt after all of the Empire was split! Cleopatra did not have long straight or, or a fringe. This one seems a little obvious but is an automatic visual appearance when representing Cleopatra as a figure. 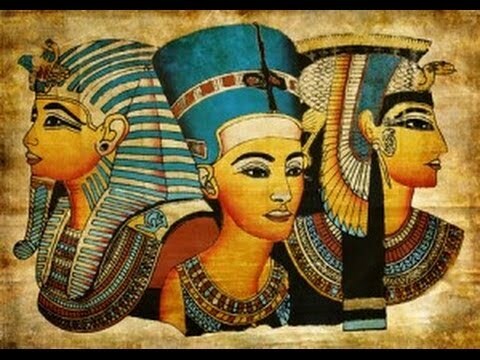 Rather the Egyptians were more likely to have shaved heads, with Cleopatra being viewed as wearing a wig of tight curls. This is evident on the emblem pressed which is believed to be a representation of Cleopatra. The real reason why Cleopatra was given a fringe in the 1963 was simply because it was in fashion. Cleopatra was deemed as immoral, which is illustrated by a myth that she ‘dissolved a pearl in vinegar, or what they conceived as wine.’ This has been proved to be very false, and pearls are unable to dissolve in such a state. Additionally it is unclear what part of Cleopatra was immoral – one may believe she was beauty orientated and lavish spender. This can be objected to through evidence of her many welfare schemes – despite owning half of the land and being depicted as ‘lavish’ – Cleopatra was an extremely good, moral leader. character this would reflect upon the perception of her beauty. The Egyptians were very symbolic and precious about their aesthetics – whether Cleopatra was physically ‘beautiful’ or not this may depend upon the beauty of one’s soul…As this can never be proved, it remains open for debate! I have been asked various times why and how the Egyptians were able to wear such fascinating styles of makeup, specifically the eyeliner worn by figures like Cleopatra. My first response was unknown, but then I took to research and realised just how intelligent the Egyptians were. Weirdly, the two forms of kohl were in green and black – not the blue as represented by Elizabeth Taylor. The fascination about kohl is that it was not directly available at the time – suggesting the Eygptians used their own chemistry in order to merge the components needed. Perhaps a more important reason, rather than fighting off infection, that make up was so significant and widely used was because of the ‘holiness’ beauty brought to individuals. Even through death and ‘the afterlife’ individuals were buried and decipted in a wide array of colour and make up for religious purposes. Egyptians were extremely symbolic and worshipped many Gods. This is shown by the variety of make up not just on the eyes. For the facial make up they concocted their own version of foundation and highlighters, such as blusher. Cheeks were stained from coloured clay – ‘red ochre’ which was originally burnt to gain it’s pigment. This was also used for the red of the life. 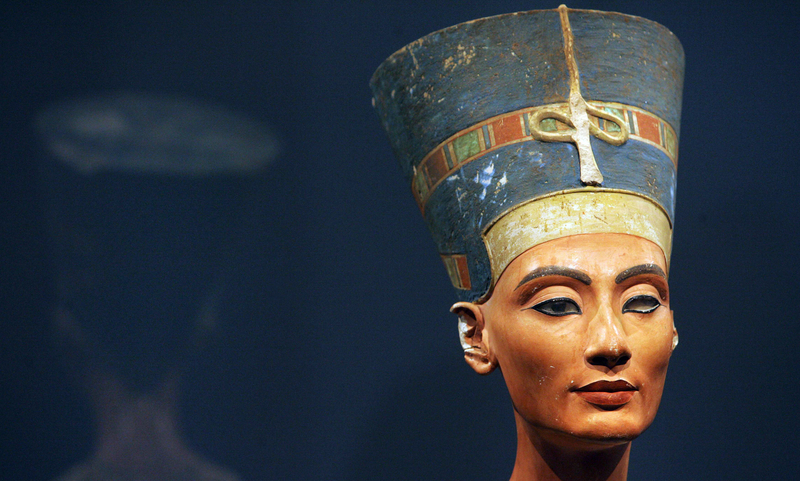 Egyptians also had access to dye their hair, or wigs, as most individuals were bald. Henna was available as a natural plant, which dyed the hair and nails. Over the years I’ve had many people saying I have ‘Liz Taylor’ eyes because of my eyeliner, but I’ve always denied it because, although my ‘liner’ has a flick, it’s nothing on par with the Cleopatra style. I thought it would be fun to experiment with this make up style – although I vary my eyeliner shape and length I tend to stay away from block colour eyeshadow, normally sticking to natural light browns and pinks and a little gold. I’m by no means a beauty blogger – I love make up but I’m not too interested in all the different brands, normally going for price over brand names. Also I probably apply make up totally wrong, (I have all these brushes, no idea what the different types are for) but I think this turned out okay. Avon’s own eyeshadow pallet: I fell in love with the purple/blue shades in this pack, and is perfect for the Cleopatra look. Before I start on the eyes, I began by adding foundation in order to replicate the skin tone by Elizabeth in the role of Cleopatra. I usually use BB cream by Rimmel as a base coat, followed by a little bit of liquid foundation. Currently I am using the Avon Ideal Flawless. Next, I began with the lightest shade of blue and brushed it over the eyelid, like basic eyeshadow. I then filled in the gaps of the shadow, which added definition. I used the same shade again, and mixed it with another, a beautiful purple/blue shade. I normally define the eyelid ridge? socket? (I don’t know the name) mixing the two shades together. This gives it a even finish. In doing this, I began to gradually cover the eye, with each stroke covering a higher space of the eye. In having the white eyeshadow base, it allowed the shadow to not appear harsh on the skin. At this point I decided to ‘put my eyebrows on’. By this I use a brow wax kit – my one of choice is by Sleek. As everyone has different natural eyebrow shapes it is extrememly difficult to recreate Elizabeth Taylors, so I just neatened mine up. In darkening the eyebrows with the wax and brow shadow, it allowed the blue to stand out. In having a define eyebrow end, I used it as a reference point for the edge of the eyeshadow, almost diagonally lining it up with the corner of the eye and the eyebrow. Similarly I then focused on the inner eyelid, and lined the eyeshadow up with the beginning of the eyebrow and the other corner of the eye, directly below. The next part is probably the most tricky, as an outline is needed to construct the very horizontal eyeliner line. Before adding the liner, I decided to add the darkest shade of blue as a sort of guide for the eyeliner. I also began with the eyeliner from the inner eye, making a thin line over. I use eyeliner from Collection 2000, mainly because I find it has the best eyeliner wand. In using the guide from the eyeshadow and the end of the brow line, I made a vertical brush stroke. If it looks okay, fill the line in. The character of Cleopatra has a wide top to the eyeline flick, before narrowing into a straight line. Even up/edit any line or shadow. Add mascara. To be even more like Cleopatra I put my wig on, accompanied by a gold head dress! Author meganevekilvyPosted on March 27, 2016 September 30, 2018 Categories Cosmetics, Golden Age Hollywood1 Comment on Vintage icon – Elizabeth Taylor, Cleopatra. Time for my next Tiffany’s outfit! I’m starting out with the dress again – however this time it was a little different. In my previous outfit I went out to find a perfect dress to mimic Audrey’s look and was fortunate enough to find a perfect one! This time I couldn’t quite find a perfect match – I tried lots off different sites and shops which were offering a sort of flapper style dress, black with either a ruffled edge or a modern style handkerchief edge. These didn’t shout of to me,I needed something overall more modern, however still in keeping with the 1960’s era. I had a rethink of how I would find a suitable dress at a reasonable price. I then remembered I had a range of simple old black dresses. One was an old new look buy – a kind of adjustable length body con maxi dress. It was simple, and needed some TLC to make it suitable. If you don’t have any old black dresses or you don’t want to add anything to a current black dress try find a simple box or t-shirt style – a simple black dress can be very cheap! The dress which Audrey wears in the film has a sort of fur edging, bringing dimension and texture to the bottom of the dress. I used the local fabric shop, Boyes, which is a chain store and sells all kinds of fabric and materials for any craft! I managed to pick up some fur cut down to 20cm – which only cost me a grand total of £1.55! I’m not going lie, my sewing skills are not amazing and I didn’t want to ruin both the fur and the fabric so I nicely asked my Mother House Elf to help. The fur was attached within minutes! I am delighted with the result of this dress! Such a minimal edit and style however looks so elegant! I must add that if you do try this, make sure the fur is only attached at the top – this is to allow the fur to have some give while trying to get the dress on or off – or even walk! I’ve recently done a hat post about handmade hats – but for this post I’ve reverted back to the easily accessible and affordable Primark hat at only £4 – which does an excellent job at channeling Audrey’s style! d suit this outfit! However, after observing the way they were made they are nothing more than opaque and silver beads, which are sewn circular around the earring clip. A super affordable and fun way to make crystal style earrings! The shoes are my favourite sparkly kitten heels from Dorothy Perkins – they work so well with the sparkles in the hat and the earrings! I frequently get asked how I do my vintage ‘up-dos’ – so I thought I might do a post of one. In keeping with the Audrey Hepburn tradition, I will explain my version of the iconic Breakfast at Tiffany’s hairstyle. The hairstyle I had created is not the exact hairstyle Audrey Hepburn fashioned. However it is quite similar, quicker and easier to create! It is a perfect look for elegance; can work for day or night, and is even perfect when you’re having a bad hair day! I did do a video to go along with the description, however I’ve been having technical issues – so hopefully the written method will be understandable! 1. Begin by separating the top of my hair with the bottom, loosely keeping it in a bun and ponytail. 2. After securing the bottom of the hair with a loose ponytail, take down the bun of the top and separate the fringe; again tie to fringe back to focus on the first section of the hairstyle. 3. The remaining hair can be teased into either sort of bouffant bun; tying it round a few times before loosely teasing the hair out to give the hair texture and volume. Similarly, this can be varied by a real bouffant; this would include slight backcombing of the underneath to give it the suitable volume. Similarly if you were feeling adventurous you could tease this section of the hair into a hair roll. This would look very vintage and bring elegance and originality to this Breakfast at Tiffany’s do! The way I have chosen is a sort of inverted ponytail. If you get the ponytail and sort of thread it back into the hair it creates a bouffant style quiff, raising the hair into position. 4. After finding a position the bun or bouffant feels suitable; secure it into place with hair clips and hairspray if necessary. The next step will be the roll at the back of the head. 5. Take the loose ponytail out and brush the bottom of the hair. I will now be doing a somewhat vertical hair roll. If you don’t feel comfortable or able to do a real hair roll, this way will give a similar effect. Like the previous inverted ponytail, I do this again but more horizontally to make the head roll up inside itself. Similarly if you cant manage this you can do a hair twist. This would involve taking all the hair and gently begin twisting it either to the right or left. After two twists lift the hair vertically and place it on the hair. Begin securing it into place. If your hair is shorter, you will be able to just tuck the top of the hair back into the top of this twist when you reach the top. Longer hair lengths, like mine involve twisting the rest of the hair under the central twist. If you want to try the hair roll make sure your hair has a bit of grip; hairspray or gel works for me! Again this would be more successful on hair that is not newly washed so the hair stays better. Okay, so take all the hair and take it either to the right or left. Take the ends of the hair and begin rolling it through the fingers until it reaches the centre of the head. If you can’t quite roll it all you can get a long hair roll piece which is similar texture to a hair bun. They range between £1 to £4 from any supermarket or hair shop. When you feel like the front of the hair is satisfying, use a comb to neaten the hair. Hairspray all of the hair. Finish the look by adding a silver jewel! I fashioned mine out of an old silver brooch, creating it into a hair clip. Mini tiaras or floral jewels would also make this look! Okay, so here it is, the finale of my first Audrey Hepburn outfit! I had real fun doing this look! My favourite bit would have to be the hair. It took a lot of practice but I think I have nailed it! Additionally there are various ways to do this style so lots of options if you get stuck or just aren’t feeling the hair do! The necklace was also fun to make; a simple pearl necklace chain with a eye catching brooch! So, I am still on the topic of hats. I thought I would write a blog post about a selection of hats from my own hat collection. In regards to my blog challenge, Breakfast at Tiffanys, these hats are very with the time! I am lucky enough to have received some these hats from my mum – who made them! These two beauties were made by my mum! The first hat is a beautiful large brim hat. It reminds me of the Breakfast at Tiffanys one with the inverted colours! Instead of the accent tie it has a simple cream bow; and lined with black fabric. It’s perfect for a nice summer’s day, it would make a simple outfit look amazing! The one to the right is a unique design – hopefully I will get to go to a quirky wedding or a race meeting soon! This black number is my favourite hat EVER. Out of the two other hats, this one is the most Tiffanyish one! It has the identical brim – but shows it’s originality with the beautiful handmade flowers and individuality stitched beads! I feel very 1960s in this. All i want to do is fling my hair into a topknot but this hat on and wear dark sunglasses and I’ll feel like a movie star! The hat includes sinnemay, and tiny white crochet flowers. It is too designed, and made by my mum and it took absolutely ages! However, the end result is absolutely beautiful – I love this hat more than anything! I’d thought I’d go all posey and try to take a full length photo of the outfit, but my camera was having none if. Maybe it got sick of my many selfies 😉 So I’ve found a semi suitable one that kind of gives an impression of the full length outfit. Another one will be take in my next post for the finale! I chose to wear the black one for it because I just couldn’t take it off! Still, it is similar to the large brim £4 one – so perhaps if you bought a plain large brim hat you could decorate it to make it unique! My mum’s hats have inspired me to start making my own hats, so take a look at milinery books and courses and see what you can come up with!